Sony Xperia X vs HTC 10 : Facts You Should Know! Home Gadgets Sony Xperia X vs HTC 10 : Facts You Should Know! The mobile phone industry has grown in leaps and bounds particularly after the introduction of smartphones in the market. The extent to which major manufactures are going to make their gadgets unique is quite baffling. New brands are currently being introduced at a faster rate. This is beneficial to users because they have a large pool to select from. In recent months, the introduction of two smartphones into the market has taken the competition to a whole new level. 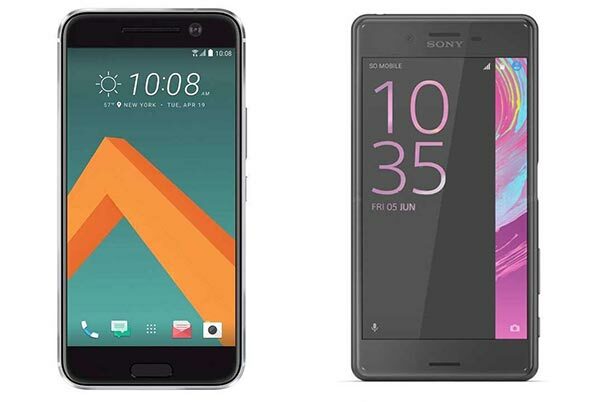 The HTC 10 and Sony Xperia X have launched some months ago and are still causing shockwaves. Below is an overview of the two smartphones and a comparison of the pertinent features found in each of them. Thus stands out as one of the best smartphones launched in recent times. It is perfectly designed and built with some of the most amazing smartphone features and tools. This makes it stand out from other Android devices. After heavy criticism concerning its previous gadgets, the manufacturer obviously went back to the drawing board. The results are without a reasonable doubt, amazing since the phone is impressive, to say the least. The smartphone is built around Qualcomm Snapdragon 820 chipset, which has only been recently introduced into the market. This makes it faster than previous models. Additionally, the screen is an upgrade from previous models. The phone boasts of a super LCD 5 screen with a resolution of 564 pixels per inch, which explains the improved clarity. The camera is also quite impressive despite the fact that it is a drop from earlier models. It, however, has a resolution of 4.3, which matches other high-end smartphones. It has been described as a reliable and affordable midrange phone by experts. Sony’s latest addition is designed to fit into the hands of users comfortably. The phone’s interface has also been reinvented and in the process, made more user-friendly and easy to operate. Buyers have a choice of four colors, which are graphite black, white, rose gold and lime gold. Sony outdid themselves by introducing a unique battery management feature, which enhances battery life by up to two days. The Xperia X is a must-have for game lovers because of an inbuilt PS4 Remote Play, which allows users to remotely access their PS4 consoles using their phones. The phone is also lightweight and comes with a 23 mega pixels camera that has a mobile sensor. There is also an impressive Qualcomm Snapdragon Hexacore processor, which comes in handy when switching from one app to another. The impressive features on both phones can make choosing one over the other quite difficult. Certain parameters can, however, be used by Fuse Crunch Tech News readers to establish which among the two stands out. 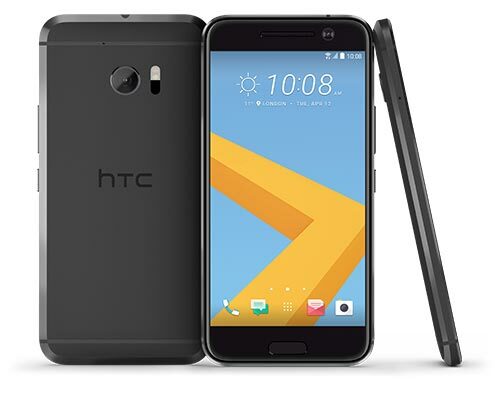 The HTC 10 measures 145.90 mm long and 71.90 mm wide. It is 9.0 inches thick. 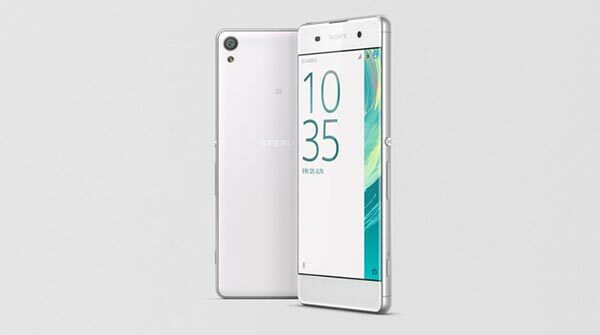 The Xperia, on the other hand, is 143.70 mm long, 70.40 mm wide and 8.70 mm thick. Their weight is 161.00 and 164.40 grams respectively. This clearly shows that despite the Xperia being smaller, it is more compact. Their screen size also slightly differs. At 5.0 inches, Xperia X is 2 inches smaller than its compatriot. The two smartphones have the same processor, which is Qualcomm Snapdragon 820. Their RAM, however, differs with the 10’s RAM being 4GB. The Xperia’s RAM is 3GB. When it comes to internal memory, the two are at par, with both having 32 GB of space, which can be expanded to 2000 GB. HTC 10 has a 12-megapixel rear camera and a 5-megapixel camera at the front. Its compatriot has a 23-megapixel camera at the rear and a 13 megapixels camera at the front. In both, the rear cameras are flash-enabled while the front cameras are not. The remarkable features on both phones mean that the verdict has to be based on individual characteristics. Each phone has its inherent strengths and weaknesses. The Xperia X is cheaper than HTC 10. This could give it an edge as far as economy buyers are concerned. The HTC, however, has a longer lasting battery and a slightly better resolution, which could give it an upper hand over its competitor. Despite having a move advanced operating system, Xperia X has a smaller RAM compared to HTC 10. It also beats its compatriot when it comes to the quality of the camera, particularly the front one. Kathy Mitchell is a technology and gadget geek, writer & blogger by profession. She loves to write articles for many on-line communities, blogs, & websites related to gadgets & new technologies. She is the author of many active blogs including fusecrunch technology news.